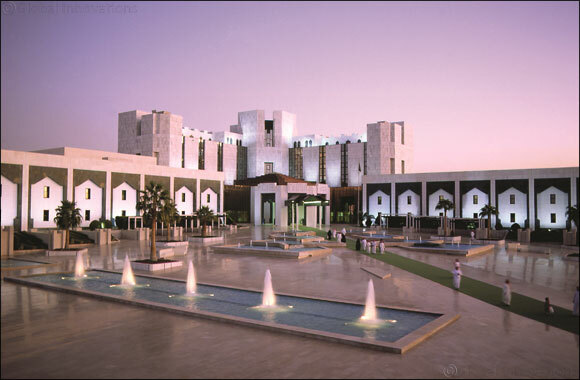 RIYADH, Saudi Arabia, 16 May 2016 – King Khaled Eye Specialist Hospital (KKESH) has announced that it has achieved Stage 7 on the Healthcare Information and Management Systems Society’s (HIMSS) Electronic Medical Record Adoption Model (EMRAM). HIMSS’ independent validation recognizes that the hospital meets all of the criteria for a Stage 7 hospital in the deployment and use of clinical information technology and advanced safety features to further enhance the quality of patient care. King Khaled Eye Specialist Hospital becomes the first hospital in the Middle East to achieve this global recognition. Achieving HIMSS EMRAM Stage 7 places KKESH among a very select group of hospitals that have successfully deployed this highest level of healthcare information technology, among more than 7,500 hospitals tracked by HIMSS Analytics globally. KKESH is one of only nine hospitals outside North America to be honoured with this recognition. For over three decades, KKESH, a JCI-accredited tertiary care ophthalmic facility, has been recognized for excellence in patient care and outstanding education and research programs. KKESH has demonstrated significant quality of care and efficiency improvements following the implementation of InterSystems TrakCare®. KKESH’s paperless environment has led to cost-savings and directly impacted efficiency of staff members in emergency situations. InterSystems TrakCare provided KKESH with a unified healthcare information system, consolidating all patient administration and clinical information in a single data repository with a common user interface, while integrating KKESH’s existing systems. TrakCare’s advanced clinical functionality enabled KKESH to achieve HIMSS EMRAM Stage 6 just five months after deployment and Stage 7 in less than two years. Commenting on this achievement, Dr. Abdul-Elah Al-Towerki, General Executive Director at King Khaled Eye Specialist Hospital, stated, “Reaching such a world-class standard adds to the list of achievements the hospital has accomplished in the past few years. This validation places KKESH among very few hospitals worldwide that have deployed this highest level of healthcare information technology. It also highlights the efforts of the hospital staff to accomplish KKESH’s mission of providing quality patient care and is a direct result of the directives of the Custodian of the Two Holy Mosques, King Salman bin Abdulaziz government and the follow-up of the Health Minister and his deputy which always emphasizes to provide the highest levels of patient care and service to our citizens”. Amar Hijazi, the Director of Information Technology at KKESH has added, “This global recognition is in line with the 2030 vision of the Kingdom’s wise leadership to be a global pioneer and successful role model. It also reflects the excellent team work between KKESH and InterSystems and the great sense of responsibility among the hospital executives, clinicians and administrative staff”. “We congratulate King Khaled Eye Specialist Hospital on this prestigious recognition from HIMSS, and for the advancements in patient care the hospital has achieved by using InterSystems TrakCare,” said Michel Amous, Regional Managing Director for the Middle East and India at InterSystems. King Khaled Eye Specialist Hospital will be recognized at the Ministry of Health and HIMSS Middle East Conference 2016 from October 12–13, 2016, at the Four Seasons, Riyadh, Kingdom of Saudi Arabia.